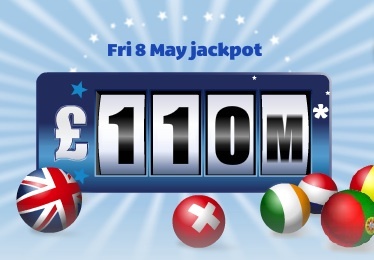 Check it out, this week's EuroMillion's jackpot is sitting at a whopping £110 000 000!!! Yes, £110 MILLION!!! Think about it, if you were incredibly lazy and just bunged the £110 million into a bog-standard savings account offering a measly 2% interest (you wouldn't do this as you'd then become the owner of your bank and you'd make more money putting it elsewhere anyway), you'd receive £2.2 million a year (before tax) just in interest. You'd never have to work another day in your life. I've got my tickets, go get yours.